Testosterone replacement therapy in Denver, CO is rising at an unprecedented level, looking to preserve youthfulness in aging baby boomers. Perhaps you find yourself being more tired than usual, have sagging muscles, increased abdominal fat, loss of sexual interest and general lack of motivation. Men have a gradual decline in hormone production after the age of 30 similar to menopause. This is called Andropause. These symptoms are often considered signs of aging and unrecognized as hormonal issues. Bio-identical hormones are natural hormones that are made to be chemically and functionally identical to what our body produces. They are exact replicas of our own hormones that are primarily made from plant sources, particularly yam. We use FDA approved bio-identical hormones whenever possible or use compounding pharmacies to provide more customized dosages and other forms of testosterone replacement so that you have a stronger and healthier body. 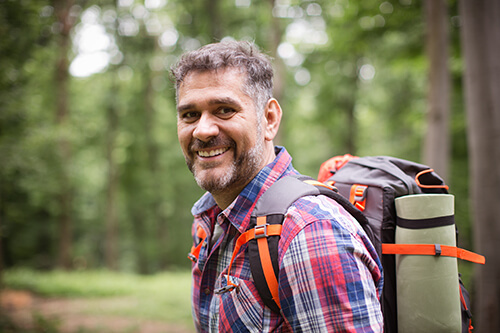 There are various treatment options for testosterone replacement, which includes testosterone creams, testosterone injections as well as pellet therapy which will be coming soon. This is an individual decision which will be discussed during your consultation. In those individuals with low testosterone or low t, seeking to have children, hCG injections and Clomid are alternatives that should be considered. What Other Key Hormones Do You need? When providing testosterone hormone replacement, it is important to balance all the hormones, not just one, because hormones do not work in isolation. They work like a symphony, and what affects one hormone affects all the other hormones. Aside from testosterone, other hormones that require balancing include adrenal hormones such as DHEA, cortisol and pregnenolone as well as thyroid and growth hormone. They all contribute to energy and improve quality of life. How do I start Testosterone Replacement Therapy? At New Spring Integrative Medicine, a comprehensive evaluation will be done upon your initial visit. This will include having done a full panel of specialized testing, hormone evaluation, a check for low levels thorough analysis of all lab results, nutritional evaluation, as well as a customized plan moving forward. Through the use of Bioidentical Hormone Replacement Therapy and nutritional supplementation, you can feel better and live longer. Regaining your health is key to mens health! For more information, call us today at 720-328-8784 and schedule an appointment or click here.